Help needed. Drowning man’s hand in sea or ocean. Their signs were motionless and void of any struggling or screaming. They just simply passed out. The sad fact is that the leading cause of death or severe injury in children ages 1-4 years old is drowning. And more then half of these drownings take place in plain site, while adults are present. It scares me to death knowing that my almost 4 year old thinks he can “swim” and has said it many times. He thinks because I allow him to float in a life jacket at public aquatic centers that he can just dive in on his own. I’ve had the discussion with him so many times that he can never swim without mommy but I am still unsure if it is hitting home. I am sure I’m not alone. We want to empower our children to learn to swim, but at the same time, we need to make sure they know the dangers of the water and when it is safe. My now 8 year old son had taken swim lessons when he was 5 and 6 years old because he had a slight fear of water. He overcame his fear of the water, but he didn’t catch on to the technique as well as I’d hoped. He’s on the short side, and not able to touch the bottom of standard 3ft deep pools without his nose still hitting the water, so it is still difficult for him.I let him swim with friends in a family members pool as long as he is wearing his tube so that he doesn’t go under. It is still clear in my mind that even with that tube securely around his waist, I took my eye off of him for just a moment, turned back around, and another child in the pool was screaming that he went under. My heart dropped and everything went silent. I couldn’t see my son in the above ground pool he was just swimming in with the other children, and there was a boat tube flipped upside down. Without thinking, I jumped down the flight of stairs and over the side of the 4ft pool in my sun dress.Heart pounding, I pulled my son up to get air. Luckily, there was another child in there who was aware my son had gone under, and I was able to act quickly. But I cannot stop thinking, “what if he wasn’t there to yell to me”? I didn’t hear my son go under the water. He didn’t flail, or come up screaming. In fact, he was trapped under a raft that was floating in the pool and his safety tube had flipped him upside down. I can’t stop thinking about what could have happened and what I have unfortunately seen happen to children of others. Luckily by son was okay. Shaken up, but he was okay and I think he learned a water safety lesson that day. I just want for all others out there to realize that drowning is not always like the movies. That these water safety devices like tubes,rafts, and swimmies are never to replace adult supervision and to be aware of the REAL signs of drowning and what to do it if occurs. Make sure any other children going into a pool or body of water with others understand it’s their duty to alert others of anything in the pool such as another child going under. Be aware, drowning doesn’t look like drowning. My now 8 year old son had taken swim lessons when he was 5 and 6 years old because he had a slight fear of water. He overcame his fear of the water, but he didn’t catch on to the technique as well as I’d hoped. He’s on the short side, and not able to touch the bottom of standard 3ft deep pools without his nose still hitting the water, so it is still difficult for him.I let him swim with friends in a family members pool as long as he is wearing his tube so that he doesn’t go under. It is still clear in my mind that even with that tube securely around his waist, I took my eye off of him for just a moment, turned back around, and another child in the pool was screaming that he went under. My heart dropped and everything went silent. I couldn’t see my son in the above ground pool he was just swimming in with the other children, and there was a boat tube flipped upside down. Without thinking, I jumped down the flight of stairs and over the side of the 4ft pool in my dun dress.Heart pounding, I pulled my son up to get air. Luckily, there was another child in there who was aware my son had gone under, and I was able to act quickly. But I cannot stop thinking, “what if he wasn’t there to yell to me”? How to Potty Train your child – Bribery, Potty Seats, & Diapers Oh My! Every child is different, so the answer is… I don’t know! Potty Training. It’s inevitable. It has to happen, sooner or later, and you rather it be sooner than later. I see all of these parents boasting about their child using the potty for the first time at 1 year old, and I’m all like “I got this…”. Yea, that was 7 years ago when my first child was 1. I now know that the REAL age for a child to be potty trained is closer to 3-4 years old. Typing it even seems like that is a long time to go without being potty trained, but it’s the truth. Especially for a boy because for whatever reason, they catch on a bit slower. Now keep in mind when I say potty trained, and when someone else says potty trained, we could be defining it as two completely different end goals. They can be speaking in terms of using the potty MOST of the time as being potty trained, as for me, I consider them to be potty trained when the only diaper or pull up in my house is the one they use for night time ONLY in case of an accident, because they all have them occasionally. I have accomplished potty training my first child, so it can be done. I thought the 2nd time around would be easier, but somehow I forgot everything that worked with my first, and how I did it. Granted, he was 4 by the time he was completely out of diapers including night time, but I did it. My now 3 year old son is doing wonderful going all day without having an accident an without wearing a pull up diaper, but he acts like “#2” is non-existent. Yea, be aware. Children will intentionally constipate themselves in order to totally disregard the term “Everybody poops”. Suppositories are your best friend in this case, but changing a 3 year old man poop diaper is not fun. For whatever reason, children do not like to poop in the potty. It’s all of a sudden scary and unknown territory even though they just went pee in it 1 minute ago just fine,..This is where I am finding myself at a halt once again. The kicker is, he has actually done poop on the potty once before via bribery. It worked the first time waving a sticker sheet in front of his face saying “You want a sticker? They’re so cool! You have to poop on the potty first!” and he did. So excited, He was and I was, and we were… Now I’m finding myself bribing him just to poop ANYWHERE including a diaper. How did this happen? I assume it’s because he’s more aware of his bowel movements now that he holds in his pee until he makes it to the potty instead of just letting loose anywhere in a diaper. This brings me to my next potty topic. The potty seat. I’ve purchased quite a few potty seats until I realized they’re actually a step backwards. Training your child to go on this child size seat is great… IF you plan to carry it around to public places with you, including other peoples houses. I found that training on the real toilet is the best was to be consistent and get better results wherever you are. Not to mention the fact that you don’t have to clean the horrid thing, ya know, after…! I guess the reason I’m posting this is to let all you first time parents know it’s OK and NORMAL for your child to take their time potty training. It’s just as stressful for them as it is for you. You’ll know when they’re ready, and they can’t be forced. They’re only small once. And don’t listen to those out of the woodwork parents and grandparents who want to chime in about how their child was potty trained at 10 months old because again, that’s great for them, but it makes you feel like a failure and it doesn’t help you much now does it? I’d love advice from any parents if you’d like to chime in, comment below with your advice, tips, and especially how to get a child comfortable going #2! You prescribed my child what?! We have all been there where you get a prescription from the doctor. It’s a really long name that you’ve never heard of and do not even know what to expect it to cost even with insurance. Now, there’s an easy solution. You can look up any medication and find the closest, cheapest cost! Imagine your child gets sick and you get a prescription for a medicine you’ve never heard of. Instead of panicking and wondering whether or not your pharmacy carries this costly medication, you now have a solution. Even if you’re someone who swears by Motrin or Tylenol, this tool allows you to find it at the cheapest price closest to your home. (Destin, FL – March 30, 2015) – With the click of a button, the new GPS (Greatest Prescription Savings) tool can help consumers easily find the lowest and most up-to-date discounted drug prices using the free Watertree Health Prescription Discount Card, at pharmacies close to them. Simply entering a zip code and a drug name yields a list of discounted prices, and the names and locations of the pharmacies where you can achieve the savings. In addition, the search results provide the percent saved when purchasing the drug with the Watertree Health Prescription Discount Card. The Watertree Health GPS even shows the best discounted pricing for common over-the-counter medications, like ibuprofen or aspirin. The drug prices are updated daily with the most current data available, and the savings associated with the Prescription Discount Card are often quite significant. The Watertree Health GPS is designed for ease of use, featuring a clean interface that is extremely intuitive. The tool works just as well on smartphones and tablets as it does on a computer, allowing users to look up drug prices while on the go. The GPS can be accessed by navigating to the following URL: http://www.watertreehealthcard.com/check-prescription-drug-prices/. To coordinate with the NYC school systems Spring break, the YMCA has created a beneficial FREE program for children to learn water safety and health. 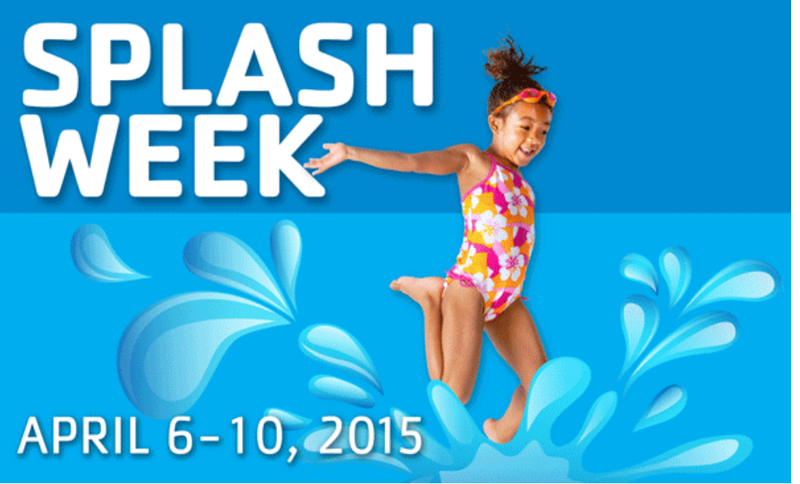 YMCA SPLASH WEEK REGISTRATION TO OPEN ON MARCH 23 (register for free below). “NEW YORK – In preparation for summer, the YMCA of Greater New York will open registration on Monday, March 23 for its annual YMCA SPLASH WEEK (April 6-10, 2015), a week-long water-safety celebration of swimming that encourages safety and health at the beach, pool or water park. YMCA SPLASH WEEK is a free program for people of all ages to learn basic swimming lessons and safety practices, while also building self-confidence in the water. Y member and non-members of all swimming abilities are invited to attend YMCA SPLASH WEEK classes at the 22 Y branches throughout the five boroughs.